Observed in an area of savanna grass and low shrubs near Kiserian, Kenya, Dec. 2015. Local villagers who gather mushrooms for food might through experience be reliable for distinguishing toxic from safe mushrooms. 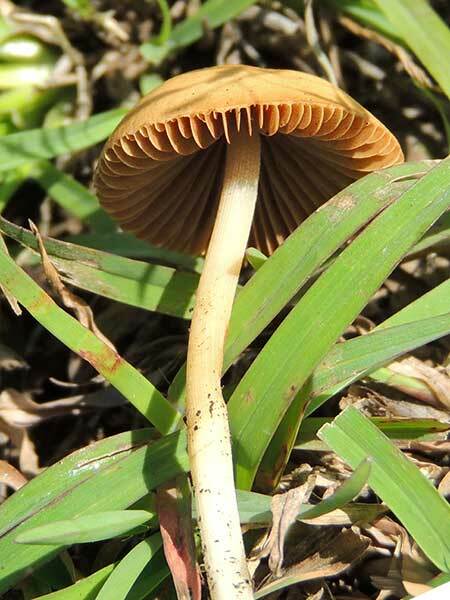 However, there are many that are edible and yet look nearly identical to very toxic, even deadly, mushroom species. Reports of poisoning are frequent, so beware! The roll of mushrooms in aiding the recycling and decay of nutrients is of huge importance to ecosystem function.